While they're taking notes, your logo is tracking extra business! Lush Italian-style leather construction attractively holds everyday essentials. 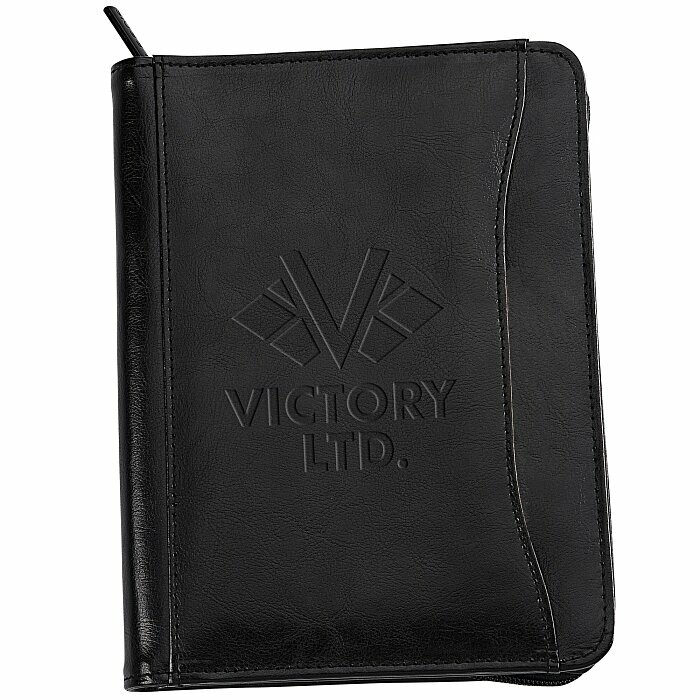 Interior organizer features one gusseted file pocket, one slip pocket, four business card holders, one pen loop and one clear ID window. An additional front slip pocket holds key materials within reach. Meeting notes or jobsite observations can be jotted down on the included 5" x 8" writing pad. A zippered closure keeps portfolio contents safely inside. Size: 9-1/4" x 7-1/4" x 1-1/4".